1,433 people in England and Wales have died either in police custody or following other police contact since 1990, according to data compiled byInquest, a charity specialising in the investigation of contentious deaths. 950 deaths took place in custody, 317 following a police pursuit, 112 were the result of a road traffic incident involving a police vehicle and 54 were police shootings. The highest total was recorded in 2003, when 104 such deaths were recorded. 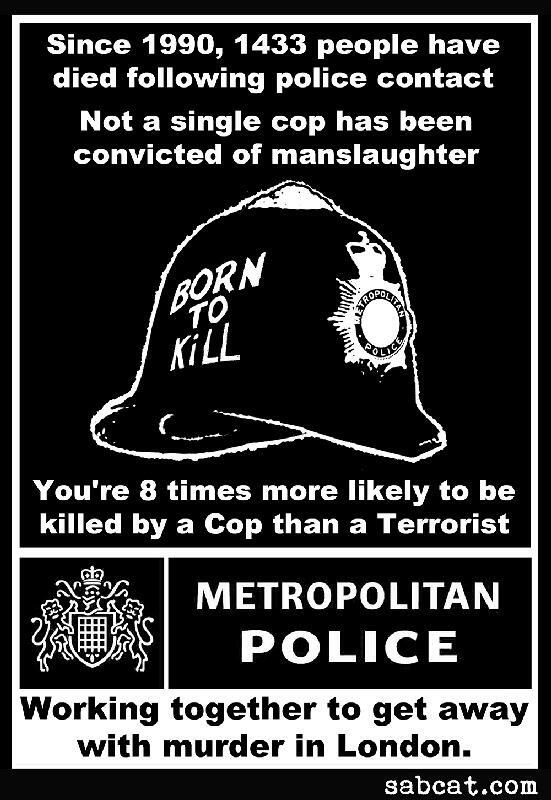 Fourteen of these fell within the operational jurisdiction of the Metropolitan police, of which one was a shooting.